Like all good ideas, the idea for Boatshed.com was borne out of necessity. Neil and Mandy Chapman, Boatshed’s founders realised that they could not return to their old jobs after their 10 month sabbatical sailing aboard their 41 foot sailing boat. The couple had more adventure that they had bargained for when they encountered storm force 10 winds in the Bay of Biscay. 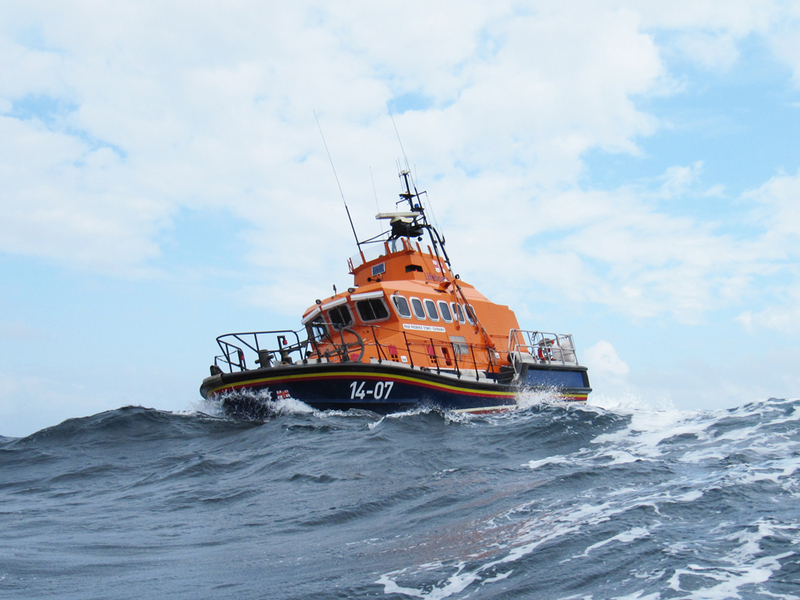 The yacht was rolled 360° by the monstrous seas and the couple along with crewman, Neil’s cousin were plucked to safety by the Courtmacsherry Lifeboat, pictured below. Thankfully no one was seriously injured and the boat was later salvaged. 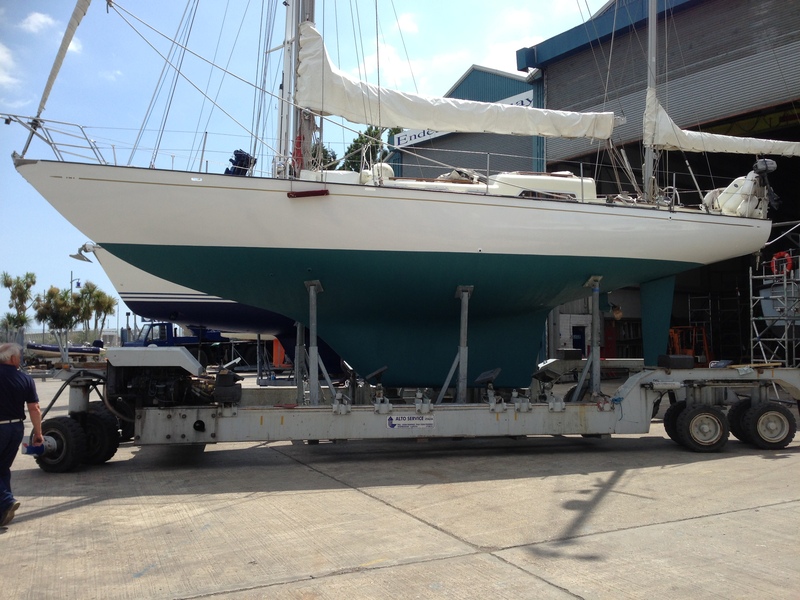 Neil and Mandy set about repairing her, eventually completing their voyage. Once back on dry land they quickly realised their old life was not for them and started contemplating a new venture which would indulge their passion for boats. In 1999 they started to develop the technology and licensing system that created Boatshed.com. Boatshed offices each operate under an individual license. Each office is a separate, legal entity with its own business and name, operating within its locality. As licensees of the Boatshed system, all offices have standard working practices, standard procedures and use standard agreements and contracts, so that each office maintains the highest levels of customer service and professionalism - concepts at the heart of Boatshed since it was formed by Neil and Mandy. The difference between Boatshed and other yacht brokers is that each broker personally visits every boat and takes unlimited photographs, videos. Each broker is intimately acquainted with the boats that they have listed and produce a detailed description and inventory which is displayed on their website. This means that the research process for buying a boat start from the buyer’s computer rather than on endless trips to marinas, yards and yacht clubs. Many Boatshed businesses also have their own brokers to assist with selling of boats within their area. 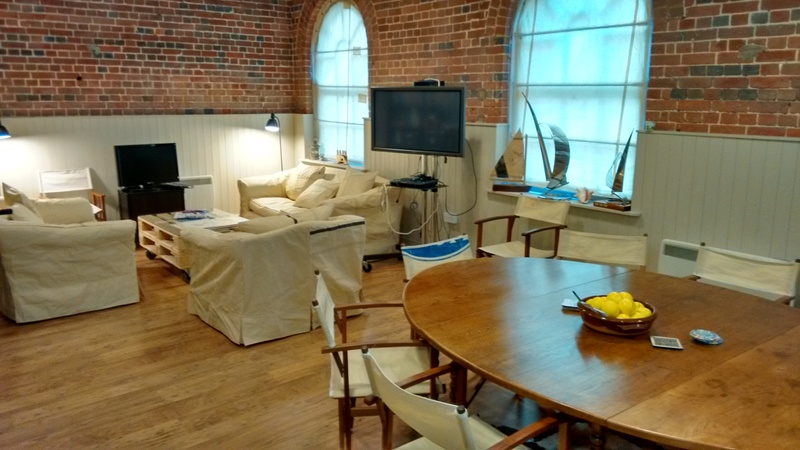 Boatshed HQ is run by founders, Neil and Mandy Chapman and their team. Boatshed HQ provide the platform for the individual yacht brokerage businesses to promote boats for sale and assist them in the management of the brokerage process. HQ’s roles are to support software and technology, plus develop the global reach of the network. The technology that powers each Boatshed business is constantly developed and continues to be improved and now the websites rank amongst the most visited yachting sites in the world. Customers love the clear photographs of all parts of the interior and exterior of each boat and the full honest descriptions along with variable search options to locate just what they are looking for means that visitors return again and again. The Engine House above has been the head quarters for Boatshed.com since 2007. 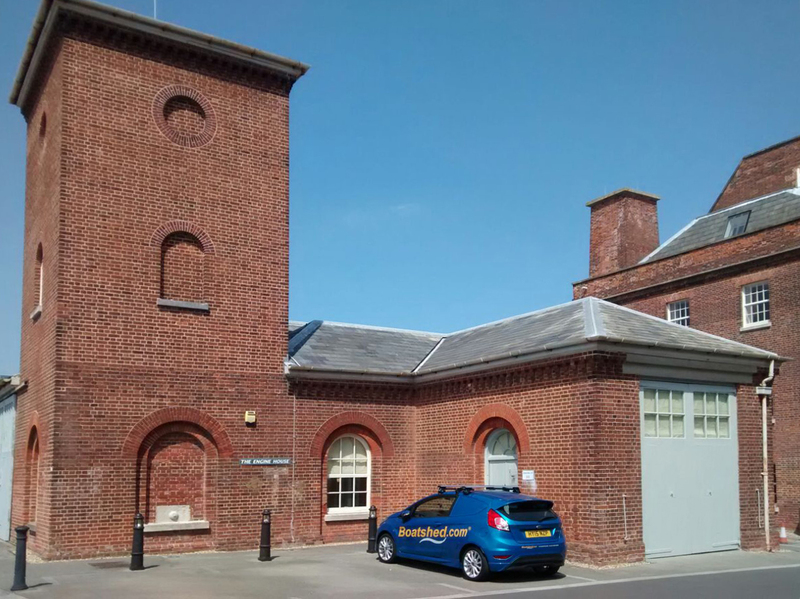 This is an early and fine example of a hydraulically-powered engine house that supplied all the power for the Royal Clarence Yard facility, this was the power house of the entire British Navy. Grain arrived by boat, was milled by steam power, mixed by steam power, all created by the engine house, and then baked into the famous ships biscuits or hard tack that fed thousands of sailors. Millions of the famous ships biscuits were baked here. One of the key factors of the navy's success was having a reliable supply of quality preserved food for ships to take to sea for up to six months. Since the outbreak of the Napoleonic wars and during the time of Admiral Nelson the British Navy needed a central facility to supply food to the fleet. In 1588, the daily allowance on board a Royal Navy ship was one pound of biscuits plus one gallon of beer. Samuel Pepys in 1667 first regularized naval victualling with varied and nutritious rations. Royal Navy hardtack was made by machine at the Royal Clarence Yard, stamped with the Queen's mark and the number of the oven in which they were baked. Biscuits remained an important part of the Royal Navy sailor’s diet until the introduction of canned foods. Royal Clarence Yard provisioned vast quantities of food for the thousands of troops anchored at Spithead for the D-Day landings. The yard was also involved in victualling operations for the Falklands conflict in 1982, when it would ship supplies to RAF Brize Norton to be flown to the front-line. The yard continued its victualling role until 1991, when the Ministry of Defence closed the site. In 2005 Boatshed Inc purchased The Engine House facility and converted it to Boatshed HQ, we like to think this is an ideal combination of technical prowess and global aspiration, very much matching the company's values and mission. The engine house is one of several spectacular buildings on the waterside, including the great granary, bakery and slaughterhouse, all of which are Grade II listed by English Heritage.